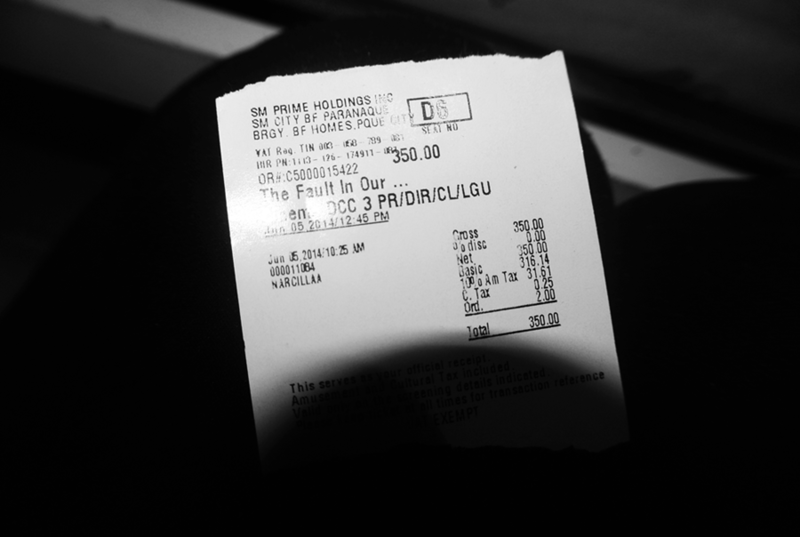 Chui and I watched TFiOS on its first day, as what my movie ticket shows. *throws confetti* Heaven knows how long I waited for that and at first I was afraid that I might be disappointed of it being made into a film. Thank God it’s close to perfection. The movie was insanely good. Two years had passed and the book still gave me that same feeling I experienced when I first read it — perpetual sadness. It’s mind-blowingly awesome and definitely one of the best book-to-movie adaptations I have seen. I’m not even overplaying everything I’m saying here. It’s really good. The casts, the music, almost everything. Shailene and Ansel were perfect for the roles. There was no trace of the Prior siblings, trust me. AND Ed Sheeran’s song as one of the official soundtracks? God must have favored the Nerdfighters when the whole production team was working on it. How about a selfie from us? 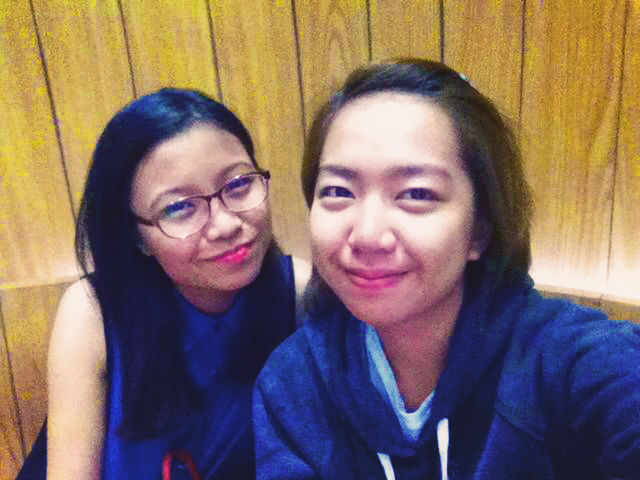 Our eyes were still kind of puffy after crying so hard during the movie. We even waited for the credits to finish before we get out of the theatre. Chui was kidding that maybe there’s a part two. Haha! We both had a good cry. It’s not like we planned on bringing the Nile River there. It’s just that we just found ourselves swimming in the pool of our own tears. We watched at SM BF and tried their 32-seat theatre, which they call the Director’s Club. Their La-Z Boy leather couches were overly comfortable. How I wished I had those pampering sofas at home. There were a few dialogues that were changed and several scenes that were cut, as per usual. It’s totally understandable to do that since it’s quite a long book. But what I can’t comprehend is the fact that John’s cameo made it to the cutting department. That just made me sad. I was waiting for him to appear on screen and wow. I got nothing. Again, it’s sad. But it didn’t make the movie less of a great movie that it was. I think it’s plain disappointing that majority of the people I know who have read the book only focused on that cigarette metaphor that Augustus never failed to point out. What about water? I see it’s not given enough emphasis. I truly believe that John Green is some sort of a genius to be that amazing. Two drowning teens in a drowning city. Perfectly crafted. PS: Dear best friend, okay? Okay. The title of this blog post is from Coldplay’s What You Wanted.